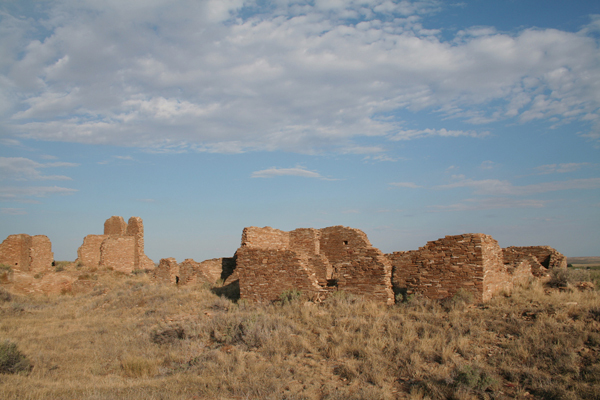 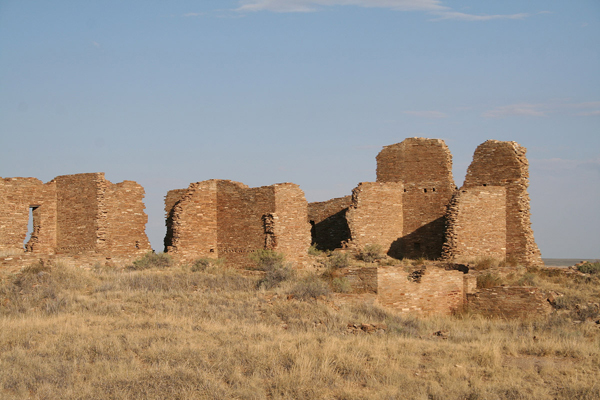 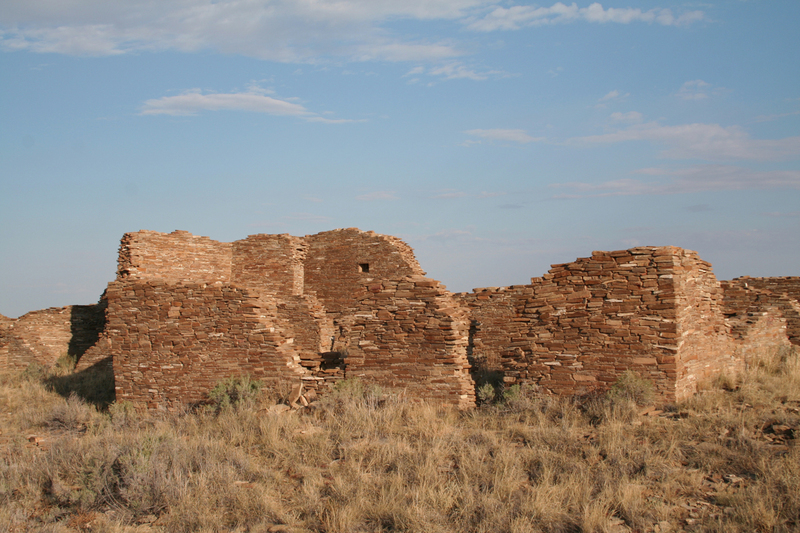 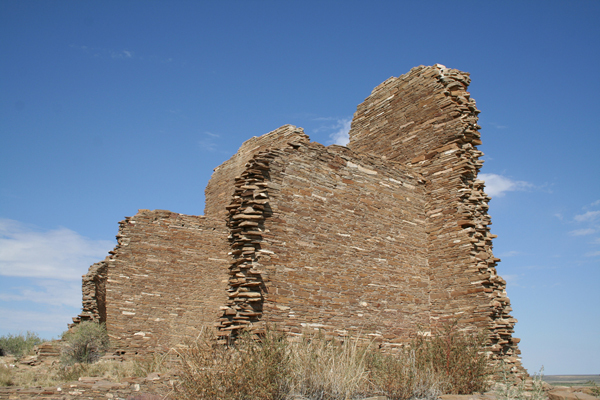 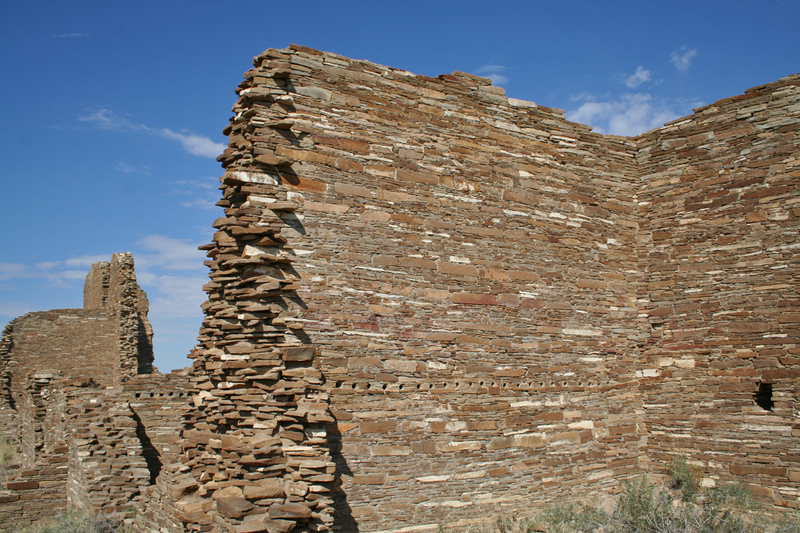 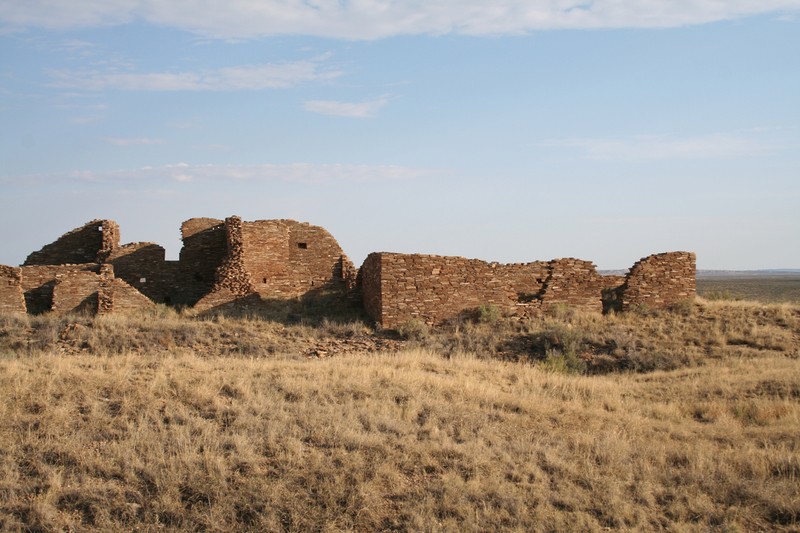 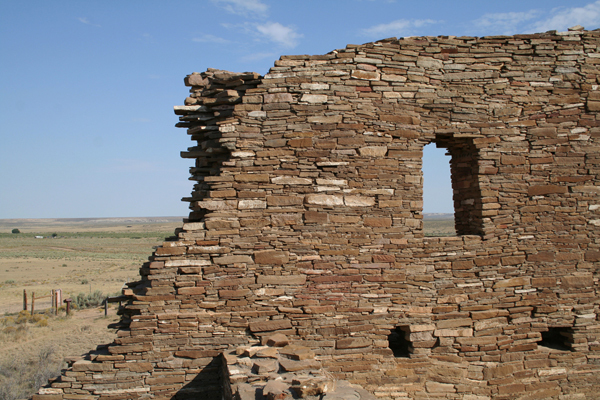 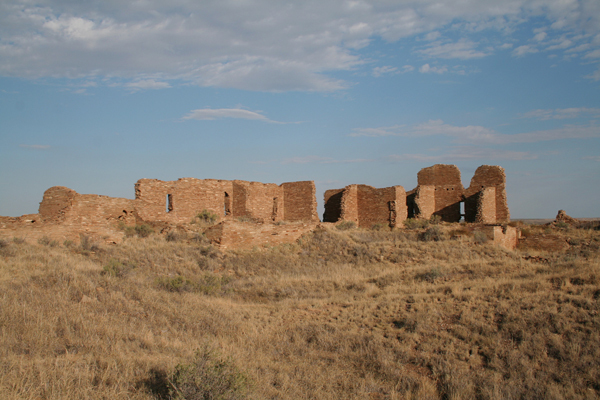 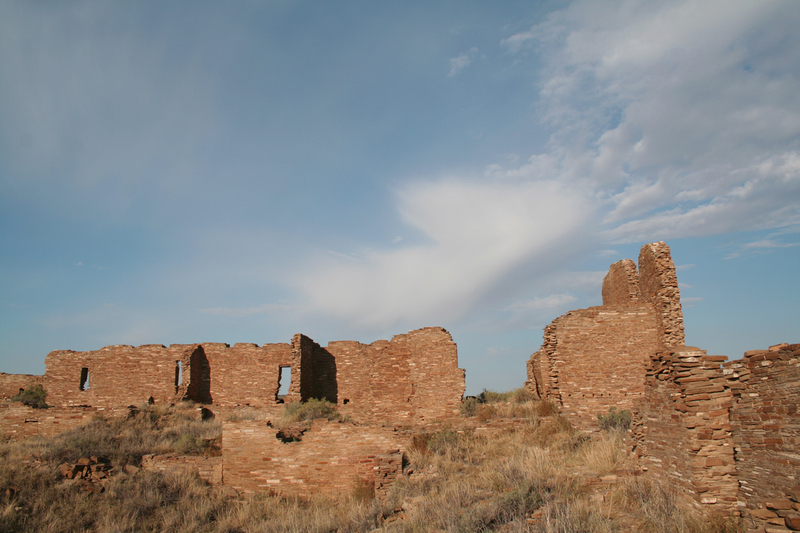 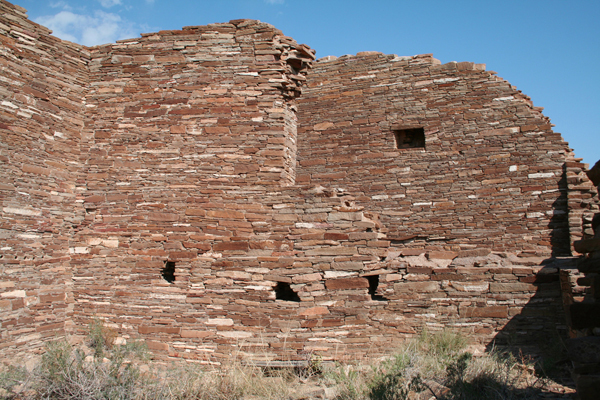 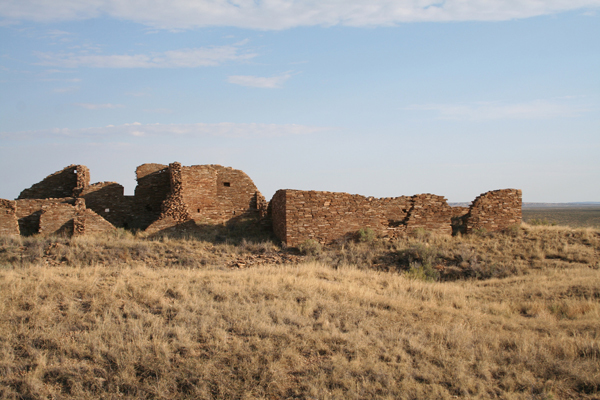 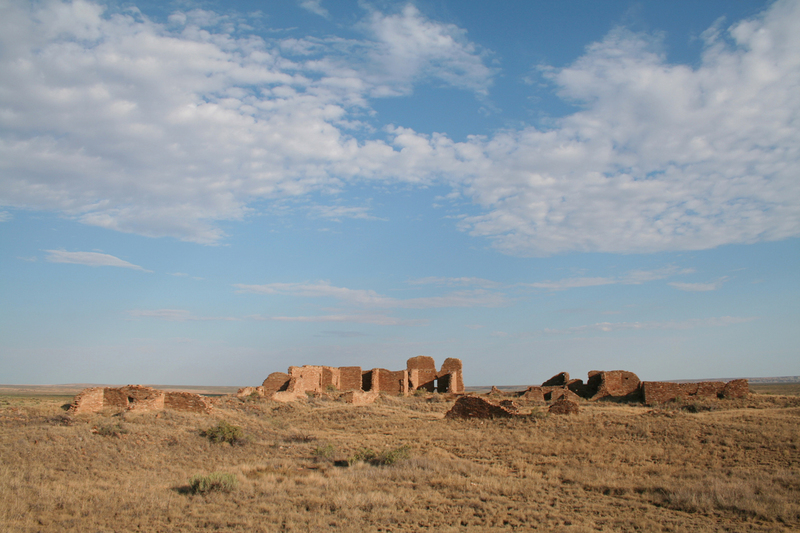 View of Pueblo Pintado great house from the south. 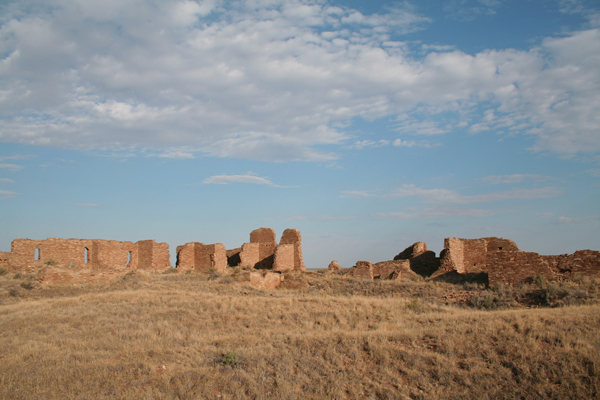 The largest standing walls are the north wall and northwest corner of the ruin. 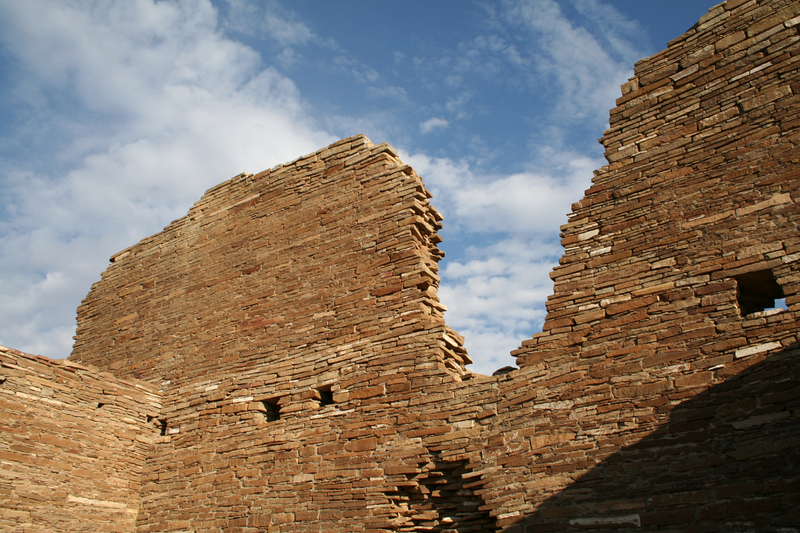 The northeast corner of the ruin walls protrude above a full story of rubble. 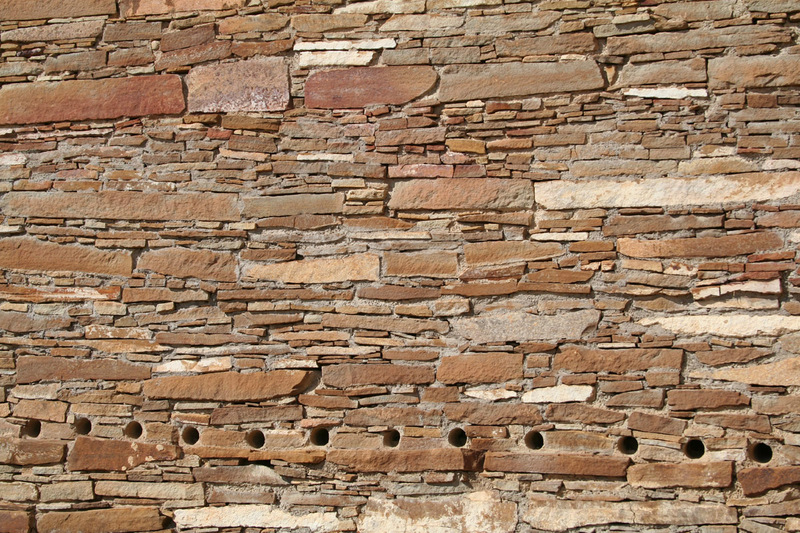 The floor lines are clearly visible where the masonry was placed around logs. 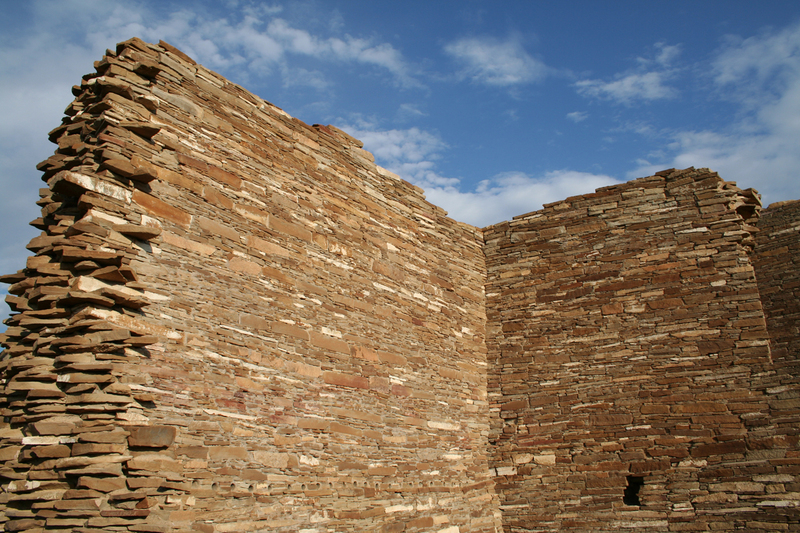 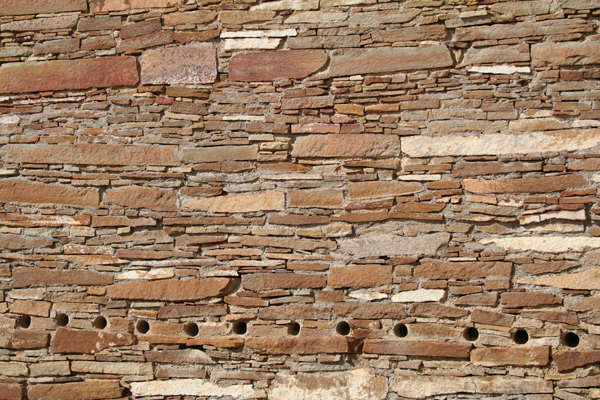 Carefully worked tabular sandstone created an enduring structure. The northeast corner of the room block. Tallest wall in the northeast section of the room block. 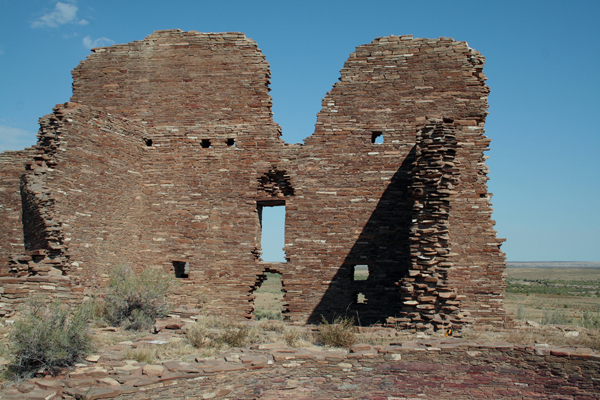 The northwest corner of the room block viewing across the great house plaza (above and below). Opening in the tallest section of the north-side wall. Close views of the tallest remaining wall (above and below). 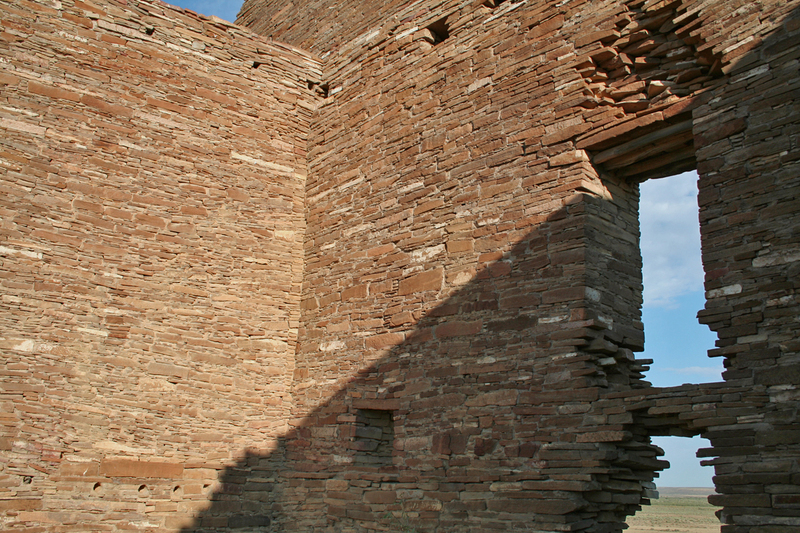 Views of the tallest walls in the northeast area of the great house room block (above and below). 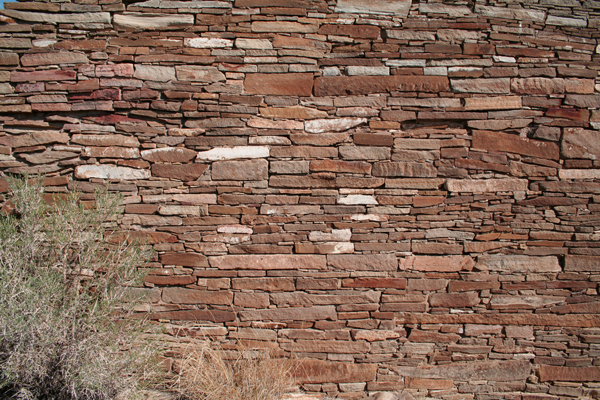 Stacked logs, with smaller branches placed over larger logs. 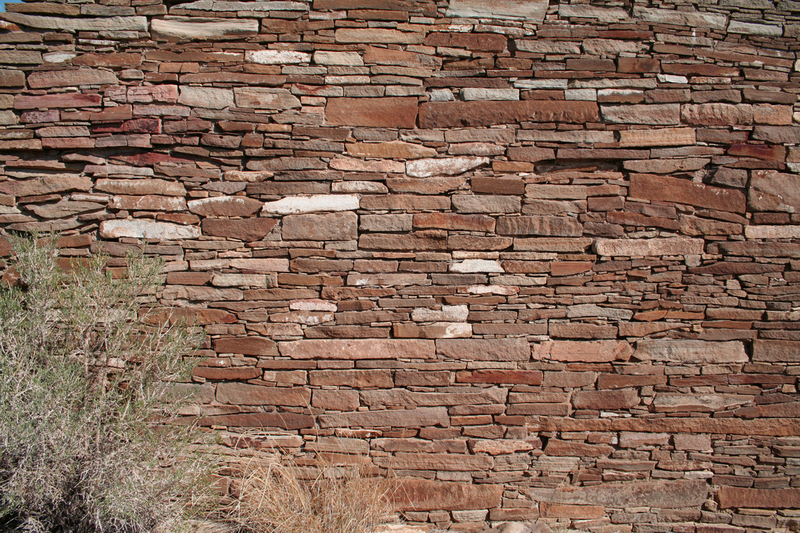 were used for floors. 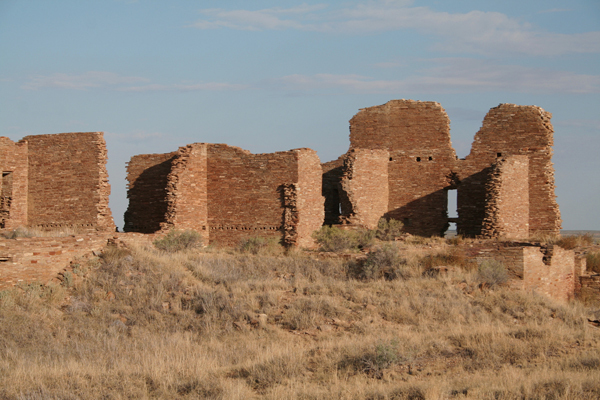 Viewing west-southwest from the est end of the room block. A rare window near the northwest corner of the ruin.